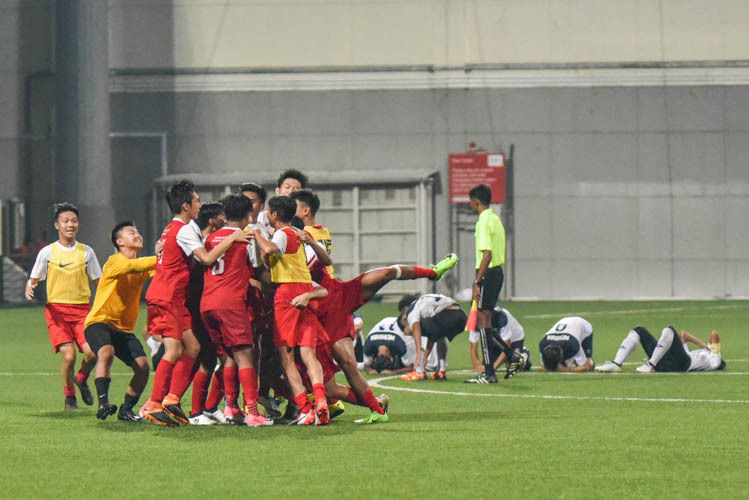 After going undefeated since the round of 16, Singapore Sports School (SS) was staring defeat in the final after going behind twice and needed a last minute equaliser before taking the National B Division School Premier League 1 title on penalties. 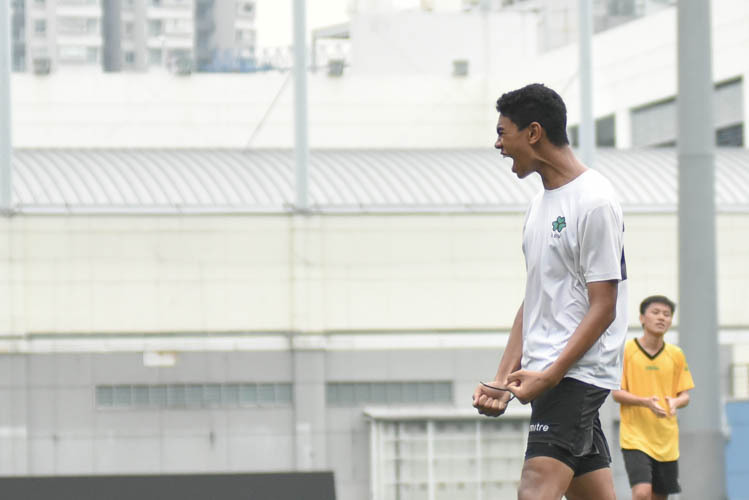 St. Patrick's School clinched the third place in the National B Division School Premier League 1 after beating Serangoon Garden Secondary 2-1 in extra time. 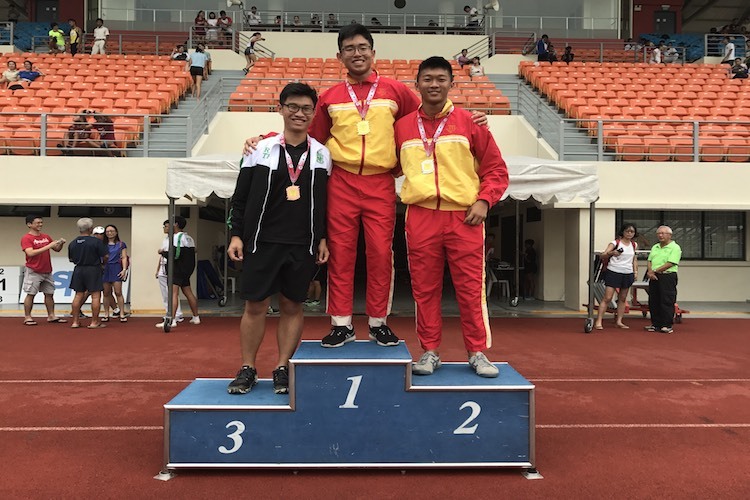 When Hwa Chong Institution's Justyn Phua lined up to take his fourth throw in the A boys' javelin competition, he was trailing junior teammate Wang Tingjia in second. 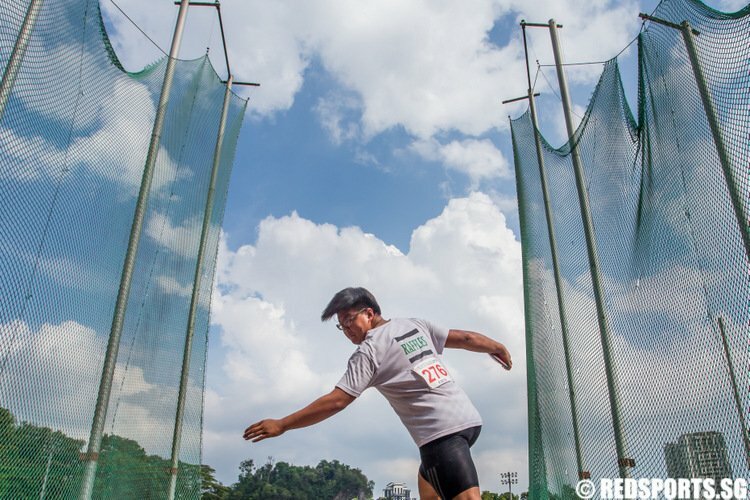 A few minutes later, he not only bettered Tingjia's best throw, but also a national schools and championship record that has stood since 1970. Three seconds were all that separated Raffles Institution's Sean Tay and Nan Hua High School's Lim Yu Zhe at the cross country nationals a month ago. 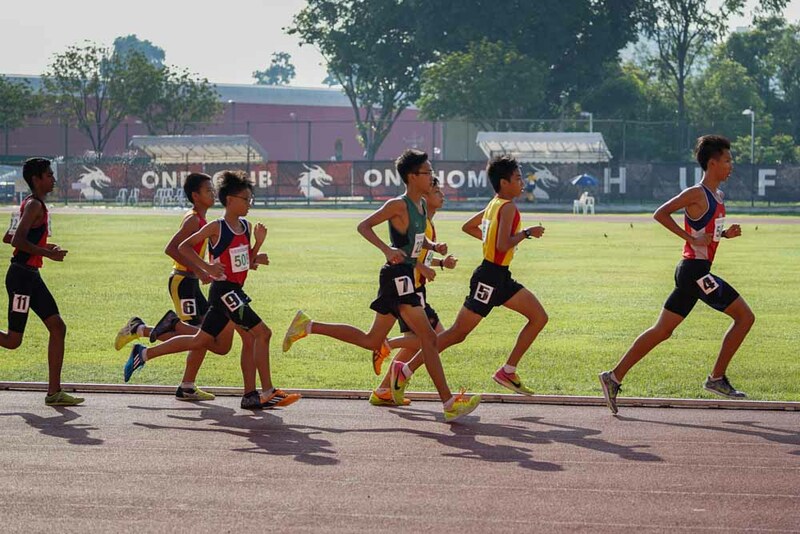 The gap came down to 0.06 second between the two boys in the C division 3000m race at the 58th National Schools Track and Field Championships. 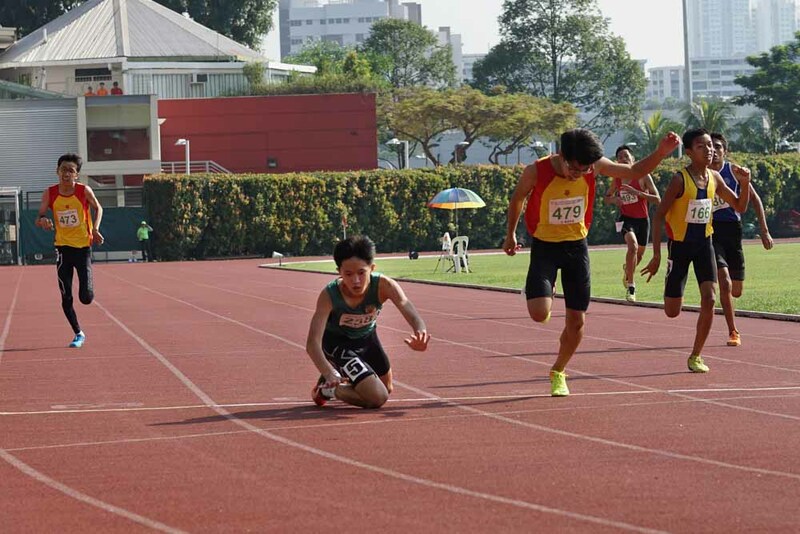 Raffles Institution's Ho Zhe Xi quite literally gave it all he had, throwing himself forward at the finish line when he wasn't sure he was going to catch Hwa Chong Institution's Or Yong Hur in the 400m race at the 58th National Schools Track and Field Championships. As it turned out, he's done just enough. 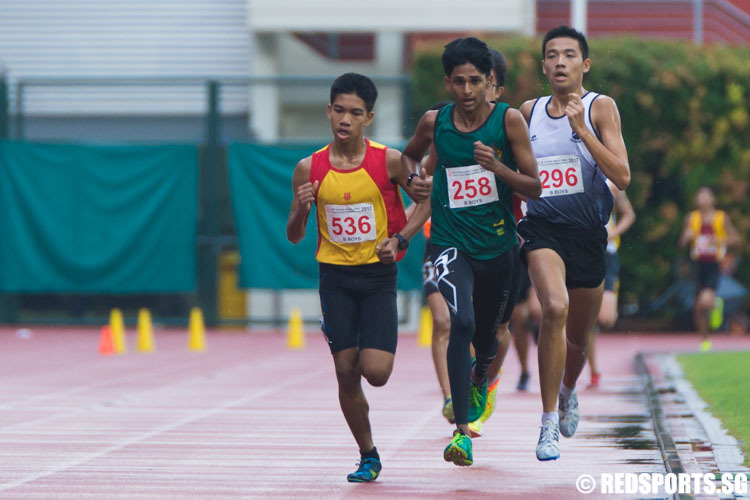 In a repeat of last month's cross country nationals, Armand Dhilawala Mohan outran Hwa Chong Institution's Joshua Rajendran and St Andrew's Secondary's Jarrell Lim into second and third, respectively. 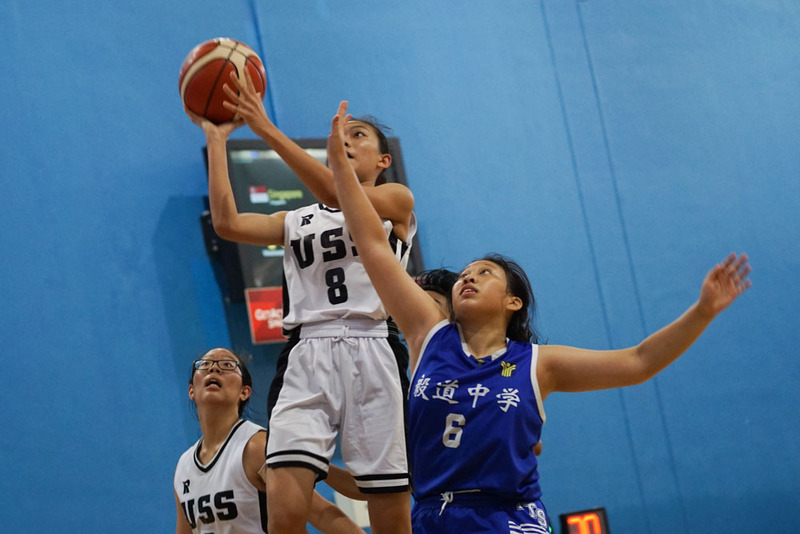 Jurong Secondary (JS) took down Singapore Chinese Girls' School (SCGS) 44-32 to end their undefeated streak, while preserving its own in the National B Division Basketball Championship. 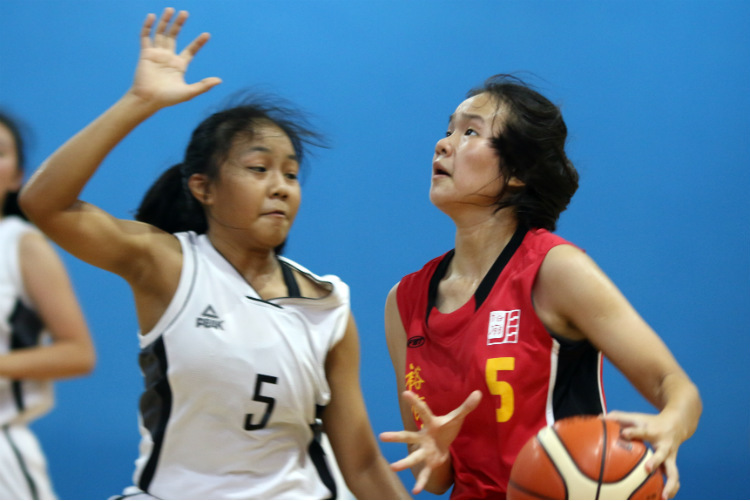 Unity Secondary beat Yishun Town Secondary 44-37 in the second round group stage of the B girls basketball Nationals. The result also squashed Yishun Town's hopes of qualifying for the semi-finals.